Phil’s act has taken him to some weird & wonderful places, from a scout hut in Unst in the Shetland Isles to a porta- cabin on mount Alice in the Falkland Islands, basically he’ll go anywhere for a laugh! Phil is very proud & honoured to have entertained over 4000 troops on two recent tours to Afghanistan as part of the CSE comedy club to which he describes, "I’ve played to some tough crowds in my time but they where never armed to the teeth with machine guns before, thank God they liked me! His act has become a firm favourite with the armed forces & has seen him touring places as far a field as The Falkland Islands, Kosovo, Kuwait, Bosnia & Germany. He started his career on the “Mainstream circuit” but before long decided to change direction & try the comedy club scene around the year 2000. Phil’s first comedy club appearance was at the Frog & bucket comedy club in Manchester. Shortly after in 2002 at the famous Comedy store in Manchester he was voted City Life Comedian of the year, Previous winners include Peter Kay & Steve Coogan .As well as regular gigs at the Comedy Store where he was also part of the successful Men @ work improv nights he can now be seen at most of the leading Comedy clubs throughout the country including the Jongleurs Comedy club chain, Highlight comedy club chain, The Glee, The Last laugh, The Frog and Bucket, Comedy central & Rawhide. 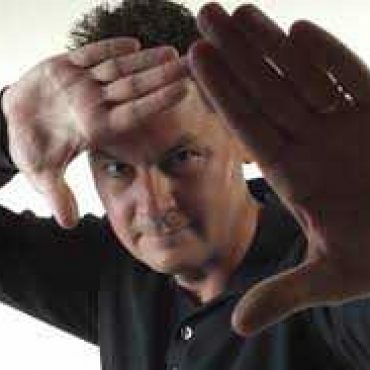 Phil is currently working on his debut one-man show, which he is taking to the Edinburgh Fringe Festival 2012. As well as performing his stand up Phil also works as a voice over artiste providing voices for Cosgrove Hall ‘The Oddkinsons”, Tia Maria, Tizer & Manchester United.
" The audience were instantly in stitches at Phil’s brilliantly culturally and socially relevant humour. " Nick Furlong, Arts in Leicester.